One of the most awaited films of the year, Aamir Khan starrer Dangal is slated to be released on 23 December 2016. Directed by Nitesh Tiwari, the sports-drama is based on the story of former wrestler-turned-coach, Mahavir Singh Phogat. The film will have simultaneous release in Tamil and Telugu as well. 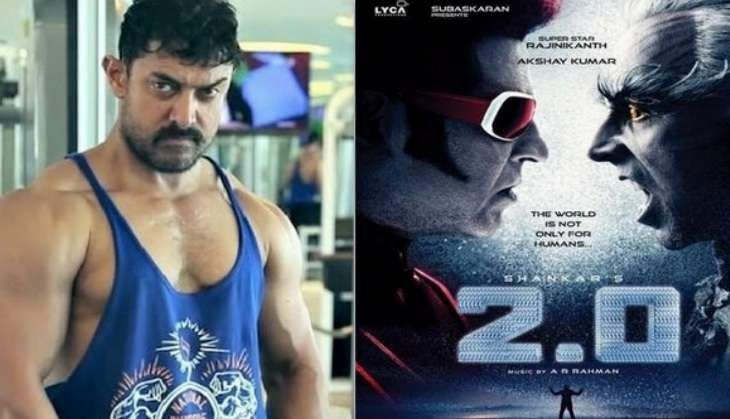 Recently, Bollywood superstar Aamir Khan had revealed that he can't wait for the release of Tamil megastar Rajinikanth's upcoming magnum-opus, 2.0. The Three Idiots actor was in Mumbai to promote his Christmas release, Dangal. He also added that he would love to work with Thalaivar and he would like see him acting in a Hindi film soon. "I'm a big fan of Rajinikanth sir. Whether he does a Hindi film or Tamil film, we watch his films in any case. Now his Tamil film 2.0 is coming, which will be dubbed in Hindi I believe. I can't wait for it. I would love to work with Rajini sir. I hope he returns to Hindi films soon". Meanwhile, the shooting of 2.0 is currently progressing at a brisk space in Chennai. The sequel to 2010's blockbuster, Enthiran will see megastar Rajinikanth returning to his Robot avatar. The Shankar directorial sci-fi flick will also see Bollywood superstar Akshay Kumar making his Kollywood debut. Akshay is the main antagonist in the film. Produced by Subaskaran Allirajah, chairman and founder of Lyca Mobile/Productions, 2.0 has been made at a budget of Rs 400 crore - making it the most expensive Indian film yet.